DIET: Juveniles eat a wide variety of small invertebrates, particularly insects, and small fish and frogs. As they grow larger, their dietary range Juveniles eat a wide variety of small invertebrates, particularly insects, and small increases to include consequently large prey. Eventually, large adults can tackle nearly all aquatic and terrestrial prey that comes within range, although mostly this includes fish, turtles, relatively small mammals, birds and reptiles including small alligators. Alligators are, like all crocodilians, opportunistic feeders and will take carrion if it becomes available and they are sufficiently hungry. They may also expand their choice of prey to include small dogs and other pets. Alligators have been known in rare instances to attack children and even occasionally adults, usually because they mistake the human for much smaller prey, or they are provoked. 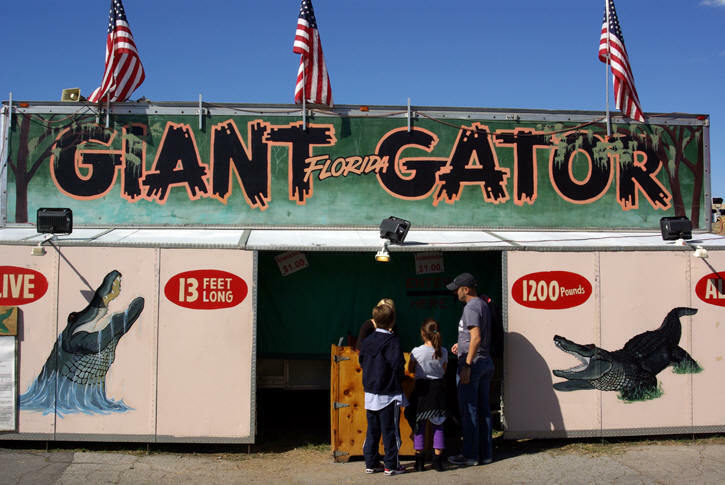 In some areas, alligators are fed by humans, which is extremely dangerous and encourages alligators to approach humans aggressively expecting food. When left alone, alligators will stay away from humans and pose little threat. Feeding activity is governed by water temperature, with foraging activity ceasing if the temperature drops below 20 to 23 C (68 to 73 F). American alligators hibernate during the winter in burrows (or "dens") that they construct, but may occasionally emerge during brief spells of warmer weather. 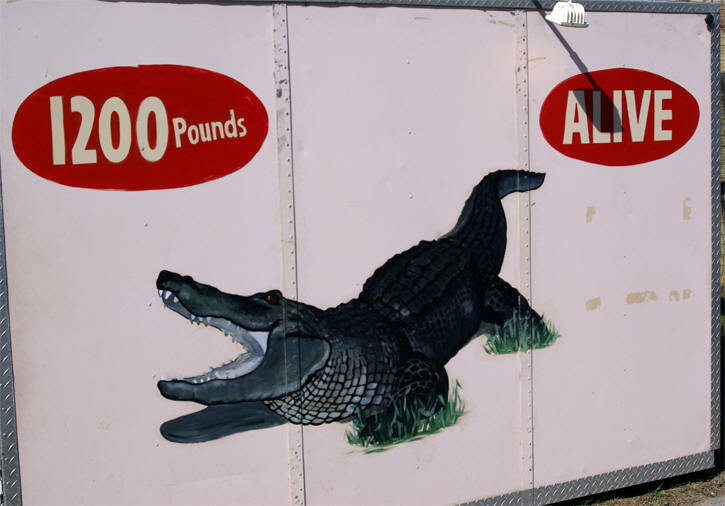 Alligators do not feed during the cooler months. 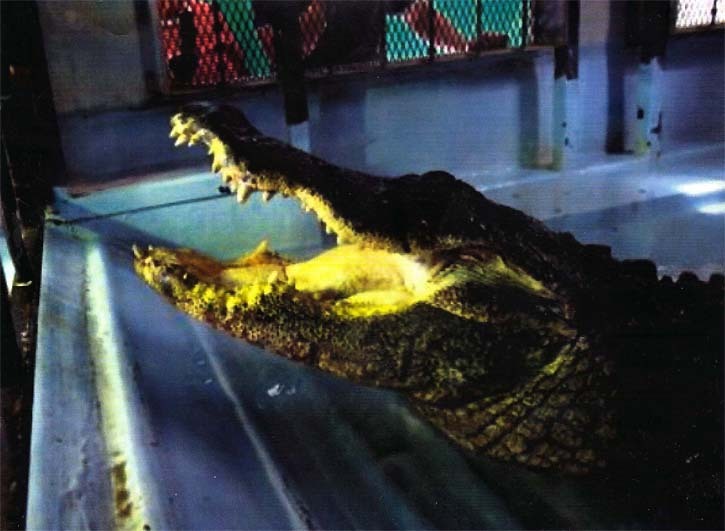 Studies in captivity have shown that alligators generally begin to lose their appetite below 27 C (80 F), and stop feeding altogether below 23 C (73 F). They can easily last the winter on their energy reserves. Adult alligators can survive freezing conditions if they are in water. They submerge their body but keep their nostrils projecting above the water surface, so that when the surface freezes they can still breathe (called the "icing response"). Essentially their upper body becomes trapped in the ice. However, occasionally alligators may be trapped completely below ice, and have been known to survive for over 8 hours without taking a breath, because the freezing water slows their metabolic rate down to very low levels. Yet another example of their amazing ability to survive. 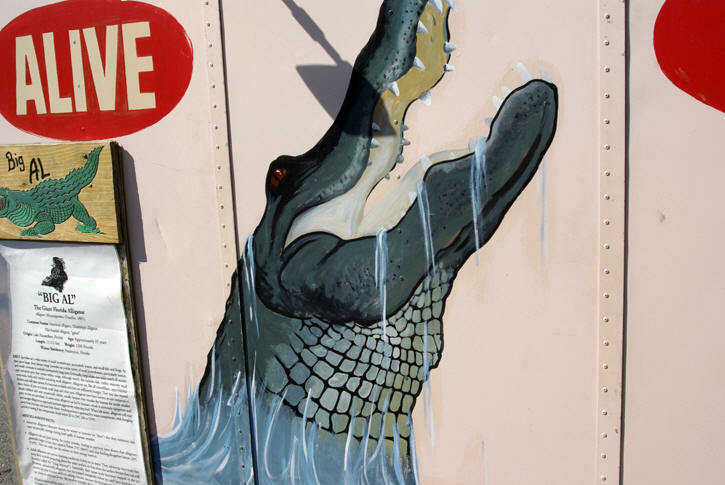 Alligators survived the prehistoric age by way of certain characteristics. They can turn their metabolic heartbeat down to a beat per 30 seconds, enabling them to survive without food for a year or longer depending upon their size. The larger they are, the longer they can go without food. Greg Aubertine below on left.